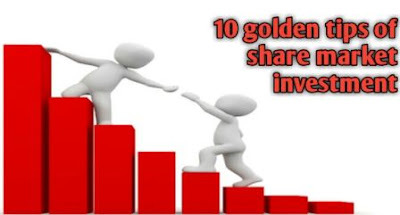 First of all, truly telling before 10 golden tips that I am just coming in share market investment road from two years ago and I am winning, it's wrong. I already losses some capital of my early age savings around 30%.so I decided to maintain some of the researches share market investment tips, this is my strategy and discipline in stock market investment. Few of them very interesting and logical, please read continue. Also, you can read how to start the share market. 1. 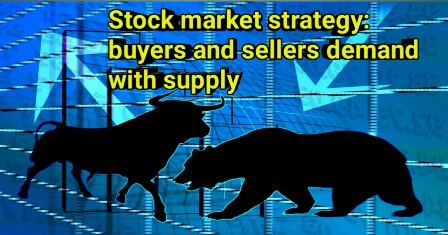 At first stock market moves up and down by buyers and sellers demand with supply. It is a market strategy. I see in NSE quarter results good but moved down and it's opposite quarter results are bad but stock going up. So it's remembering bad stock may be moved up by the big group due to stolen general public capital. While investing in the stock market, you will be free from feelings of fear and greed. Just feel you are an investor who maintained disciplines and patiently invest in the right stocks of the right company can avail the benefits of the Share Market for a long time. 2. Let I have one lacks money, then I don't invest in one share of my total capital.we should divide into minimum twenty and maximum fifty division for my investment journey. But questions is why? 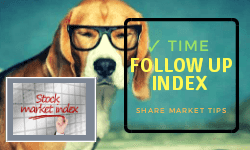 Because we did not see any other professionals portfolio of a mutual fund or any share market hero portfolio, where all shared achieved to gain. Now find out at least fifty shared with our judicial process. next start is my method as I am investing my total capital into fifty stocks. 3. Whats happened in one year of share market investment? only ten stock is going well in one year with twenty percent returned. ten shares neutral and due share move downward. Next, we should upward ten winning share will sell out and downward best share will be bought for reducing the average. A maximum big investor doing used this strategy and add some new stock to my own research. 4. where we should buy stock? Everyone don't know fundamental analysis, so we should check or track of mutual fund portfolio and big investor current buy. But one thing can't ignore that honesty is the best policy to achieved success. Therefore we should learn about the fundamental knowledge of stocks in the proper process. Famous investor Warren Buffett told that you will Be fearful when others investor is greedy and be greedy when others investors fearful. 5. Technically you can be used that is lately used by me is the Bolinger band rules and one month heikin ashi candlesticks. when candle cross down boundary then buy and similarly crossed upper boundary then sell be processed. In the upper picture, B is indicated for buy and S indicate for sell. Another super trend indicator is used for more confirmation. 6. Face value 10 is best for a long time investor, anybody advises me. I feel it is possible to get the multi-bagger returned. Also, checked book value and percent of promoter holdings of stocks due to awareness and confidence of your buying share. When you are studying a company's shares, do not just look at Shares Price value but study whole Share Pattern details of the fundamental and technical analysis. 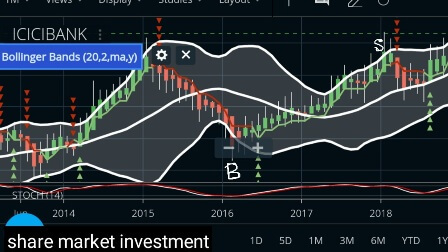 Always stock should buy when their index like nifty goes down and crossed downward Bolinger band and one month candle to be set for long term investment and one week candle be set for swing trading. Example- Sun pharmaceutical stocks we buy when nifty pharma index will be mostly down, so save money for right time investment. 8. Money management is the best practice for reducing losses. Thirty percent of capital always to be reserved for reducing the average stock price. When the market will be more volatile then the stock price will be very cheap. If we have not sufficient money for buying the stock at half price then we make a very small amount of money and not success in share market investment. It's the fact we are generally loss our capital for my emotions.because we are buying the stock when he goes upward and almost high position and sell when I accept the failure when stock move down with volatility. 10. An almost important one of all it's not a game or lottery that reached us the richest person in one day. Passion is the most powerful tool for achieving goals. and other tools playing intraday, that's reached me or you zero. Visualization techniques are a fully different tool to achieved success. Endly you should Invest in shares of that company whose business you understand.